Microsoft Chief Executive Officer Satya Nadella speaks to students in New Delhi. On Thursday, Oct. 9, 2014, Nadella spoke at an event for women in computing held in Phoenix, saying women don't need to ask for a raise. They should just trust the system. He was asked to give his advice to women who are uncomfortable requesting a raise. 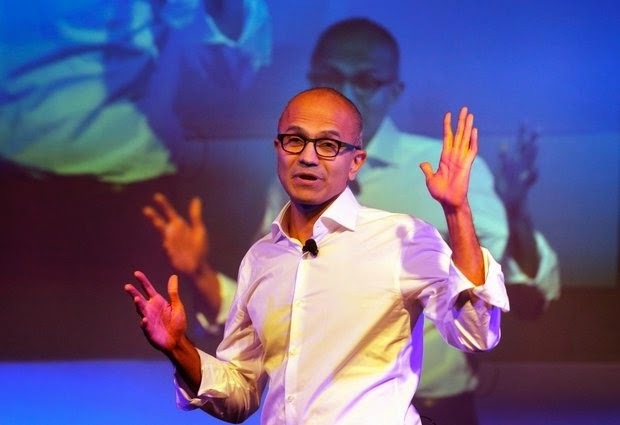 NEW YORK (AP) — Microsoft CEO Satya Nadella apologized Thursday night and said he was wrong for saying that women don't need to ask for a raise and should just trust the system to pay them well. That's roughly comparable to diversity data released by other big tech companies this year. "Without a doubt I wholeheartedly support programs at Microsoft and in the industry that bring more women into technology and close the pay gap," Nadella wrote in his memo to employees.